There’s a lot of talk going on right now in Silicon Valley about this case the FBI and Apple are grappling over: it’s an attempt to unlock the iPhone 5C of Syed Farook, the Pakistani-born terrorist who, along with his wife, killed 14 people in San Bernardino, California. At the heart of the case is a request by the FBI, now filed into a court order, to impose upon Apple Computer to help the FBI unlock this device. As you know, iPhones can be locked with a numeric code, and after numerous attempts to unlock the device with the WRONG code, the software has a built-in “erase all” function. This is built into iOS, and it’s a protective device. The FBI is specifically requesting Apple to write NEW software that will override the built-in protections of iOS, so that the FBI can try 10 or 20 million different passcodes without erasing the contents of the device. The first issue, of course, is how the FBI can’t figure out how to get into this device. You could probably throw a rock in Silicon Valley and find a dozen entry-level hackers that could circumvent the passcode to get into the device. How does the FBI not have 10 of these people on staff already? Sure, the nature of this attack was awful, and would get even your garden-variety patriot up in arms about getting to the bottom of the crime, and especially finding out if anyone else was involved. It makes perfect sense, from an investigational perspective, to see what information that phone has on it. “Opposing this order is not something we take lightly. We feel we must speak up in the face of what we see as an overreach by the U.S. government. In some sense, I think the FBI is confusing Apple with other tech giants like Google or Facebook. These companies DO have oodles of information about their users – usernames, passwords, location history and much more. But this is not the business Apple is in. Not by a long shot. They make their money on selling devices. And that’s where I think this discussion hinges. All Apple did was sell a device to a consumer. What that consumer subsequently did with it is his business. Now, if that device was used in a horrible crime, (and that’s not a fact, but rather only an angle being pursued,) it certainly makes sense to see what information is on there. But how that is Apple’s responsibility seems, at the very least, confusing – if not downright dangerous. From a brand perspective – this is a high-stakes game for Apple. If they capitulate (or are forced to,) then the risk of floodgates opening becomes a likely outcome – expect every country around the world (especially high-iPhone-penetrated countries like China and India,) to issue similar orders to the company. And then expect similar orders to flood the executive offices of every technology company, social media company, e-commerce company and so on. If Apple holds firm here, they could come off looking like heroes of privacy and vicars for establishing the boundaries between technology and civics. But at what cost? Is there a public backlash against the brand for “not cooperating in the war on terror?” Or is there a sentiment for honoring our rights to privacy that Apple would have stood steadfast to uphold? This is dicey, indeed. And if I’m a brand manager for Apple, I would be constructing about 17 different contingency plans. Let’s stay tuned. With the recent resignation of Steve Jobs, I began contemplating the company he built more than 30 years ago with a Woz and a dream. Apple Computer, which recently (briefly) overtook Exxon/Mobil as the world’s most valuable company, has had its share of ups and downs. Just a little over a decade ago, they were teetering on the edge of irrelevance, losing ground to new manufacturing and software entrants. Today, however, the company has a total value close to $350 Billion, legions of loyal evangelists and, despite Jobs’ recent announcement, a very bright future under new CEO Tim Cook as the sitting-architect-in-residence of modern computing and electronics. They didn’t get there by accident. At Apple, Inc., there is a culture of progress, and businesses at the micro level can learn a lot by examining Apple’s behavior. Sure, most of us may never get to their size or influence, but that doesn’t mean small and midsize businesses – in virtually any category – can’t wield the same traits and characteristics and, hopefully, realize similar successes. 1. Embrace Innovation. Apple has embraced innovation in virtually every aspect of their business. Not just in the products they develop, but in how they manufacture them, ship them, sell them, update them, service them and finally obviate them with new and improved models. Embrace technology, look for avenues to optimize performance from your team, and adopt a culture of “what can we do next, what can we do better?” at your company to emulate this enviable trait. 2. Anticipate (and even create) Consumer Needs. 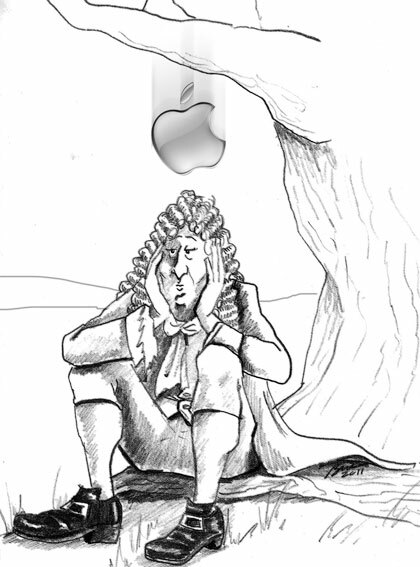 One thing Apple does very well is think ahead, and think deep into the hearts and minds of their consumers. No one ever thought that they needed a telephone, AND an Internet browser, AND an email client AND an iPod AND an app player, all in one simple device. But when Apple created iPhone, everyone suddenly NEEDED one. Why just give your customer base what it wants, when you can give them more than that, or better yet, something they don’t know they want yet? It’s a great way to bond to consumers and, in strategic terms, to immediately dominate the category in which you operate. 3. Form Smart/Strong partnerships. Apple has done this in many different ways. From manufacturing partners to content partners to the legendary App Store developer partners. Sure, they may dictate the terms of how things will go, but they leverage the talents and abilities of innovative companies that operate well outside of Cupertino. Look around in and outside your category – who can your business partner with to emulate this trait that helps you to grow or helps you improve in some way? 4. Never Forget Your Entrepreneurial Spirit. It’s a classic story: Jobs and Woz in a Silicon Valley garage, building machines from scratch, selling on credit, scrounging for parts and never wavering on their dream to build something new, something special. And that spirit is still evident in every new product launch with Jobs smiling, bragging and still trying to out-geek every geek out there. Sometimes, in our businesses, we tend to forget why we started, how much we love what we do, how good we have it and more. Maybe it’s time to re-kindle that passionate spark? 5. Push Into New Categories. At one point, Apple only offered two core products: a slick operating system and the machines it ran on. Then, about a decade ago, they had an idea to use their skills and optimize their DNA to create a different kind of device that played music. The iPod pushed Apple into a new category (music/entertainment,) that then exploded into the iTunes revolution, that gave way to even more categories (movies, telephones, tablets, etc.) The key here is that even with iPhone and iPad, they have never strayed too terribly far from their core capabilities: intuitive operating systems, running on elegantly designed devices. Think about it. What’s driving your business? And how can you use your skills/your team/your assembly line/your supply chain to push into a new category…or two…or four? 6. Embrace New Channels for Your Business. It’s hard to believe, but for a while, you could only get Apple products (and they were basically only computers) from “authorized resellers” who were few and far between. But Apple realized that retail was a viable channel, especially since their product offering was now appealing to a more mass audience. By embracing retail, they also created new opportunities to expose more people to Apple’s core line of devices and software. Think about your business: can you sell through an intermediary? Can you create a direct dialogue with your core audience? Can you segment or discover a new audience altogether? It might be a viable opportunity to create new revenues without much more overhead. 8. Commitment to Design. One of the key players at Apple is Jonathan Ive, Senior VP of Industrial Design. His influence on clean, elegant, sometimes teeny-weeny product design at Apple has given the entire company a new complexion. While other computing companies are still trying to figure out the “liquid” look for their laptops, Apple presses forward on countless innovations, including the all-in-one desktop computer, the “flywheel” on iPods, the “anti-flip” telephone device, the “it feels so easy in my hand” iPad, the famous “earbuds,” and on and on. A recent article in The New York Times outlined several of the 313 patents Apple has filed for, and one of them is for the iPhone packaging. (Seriously, the packaging is patented.) Even if your company isn’t in the devices business, have a designer look at your business from top to bottom and see if you can’t match your company DNA to an aesthetic and interactive sensibility that elevates the experience of doing business with you. “1984,” through the “Think Different” campaign of the mid 1990’s to the “Hello, I’m a Mac” spots of recent years, Apple and their agency have always kept it simple and pithy. Any company can learn a lot about how to promote just on the basis of Apple’s advertising track record. Not just what they do, but that they do so much in so many channels (print, radio, tv, outdoor, direct, institutional, one-to-one, etc.) with such consistency. 10. Make Brand Matter. Of all the items listed above, or perhaps as the sum of all items listed above, the most important of all is that Apple has had a very strong commitment to their brand. The products stand for something that is tied to the ethos of the company and its founders. The collective perception of most people around the world is that Apple IS cool, and that’s not by accident. “Designed by Apple in California” is more than just a copyright line, it’s nearly a profession of faith. NONE of this is happenstance or coincidence. It’s been a carefully scripted, scrupulously architected vision of what the company wants to MEAN to its consumers, its competitors and its out-of-category passersby. Of all things, use this as a compass for your company, and work to create a relationship with your consumers that transcends what you do and what you sell. It will carry your business across virtually any obstacle, any economic condition, any CEO resignation. Think Different. Article first published on Technorati. Apple’s iPad2 launch: sold out or sellout? Sure, I know. It’s pretty rare you hear the words “Apple” and “fail” even mentioned in the same neighborhood (unless it’s a snicker aimed at 1993’s Newton launch,) so let me clarify. What’s going on here? Is this an epic fail of distribution planning? A gross underestimation of demand? A glitch in the system? A return to what Chris Anderson calls “scarcity economics” in The Long Tail? All not likely from the historically over-prepared Apple Inc. What’s more likely is that they’re enjoying kicking their competitors in the gut with yet another huge hit of performance computing. So why not milk every last drop of extra PR coverage out of this sucker? Here’s the worst part. I, and many others in my situation, am starting to come to the horrendous realization that maybe, perhaps, just a bit…I could live without an iPad2. After all, I’ve waited nearly three weeks. What’s another year? If your company is considering any kind of PR stunt in the near future, make sure your consumers get the BENEFIT of the stunt, not the brunt of it. I LOVE the new spot that Verizon has launched to introduce its marriage with iPhone 4. It’s honest. It’s simple. And it resonates in a way that many other strategies may have missed. For a long time, Verizon has been poking fun at iPhone, mostly because of its alliance with the AT&T network. By mocking the rival network, it invariably knocked the phone. The best example of this is the “Island of Misfit Toys” spot it ran more than a year ago. Funny. And smart. And a great way to make the points about the phones you CAN get on Verizon’s network. Cheer #1: Good strategic approach. How smart is this strategy? No attacks on the “other” network. No knocks on the device. No more touting OTHER phone’s app capacities. Just a simple, singular message that affectionately bonds the two companies. The spot gets honest, and does it elegantly. It essentially ADMITS that (despite its efforts to sell you a zillion other devices,) Verizon customers have wanted THIS phone all along. Cheer #3: Bonding with customers. By putting the forthcoming launch date as a super, the spot creates anticipation. This is “appointment advertising” at its simple and singular (ooh, a pun!) best.